CORRUPTION IN KENYA | SAY IT ALOUD!!!!!!!!!! The price of basic food stuffs and fuel has hit an all time high. Cost of living is evidently too high and most Kenyans are just not able to bear the burden. Legislatures have blamed ‘grand corruption’ in the fuel sector. Many people are not happy and they have been on the receiving end regarding inefficiency in the fuel and energy sector in Kenya. A petition from the Consumer Federation of Kenya was tabled by Hon Ababu Namwamba asking the government to take charge of the situation. According to the MPs, there is grand corruption in the two corporations given the duty of regulating fuel prices in the country. The two are National Oil Corporation of Kenya NOCK and Energy Regulatory Commission. The institutions were said to have failed in their ultimate mandate to shield the country from crisis regarding fuel prices. According to Budalangi MP, there is a ‘cartel of oil marketers’ who have been tolerated by the regulators. He blamed this click of ‘oil marketers’ on the high prices of fuel that seem to go up by the hour. “I submit that today Kenyans are paying the price of grand corruption. Until and unless we slay this vampire of corruption, we’ll continue paying its high price,” Mr Namwamba said. According to him, there were inter-ministerial recommendations that were made in 2006 (by a task force) that were completely ignored by the government. The task force recommended among other things discouragement of oil marketers from forming monopolies since they imported, distributed and retailed the oil. In many ways, we are still at the mercy of these marketers since they run the show. Attempts by Finance minister Uhuru Kenyatta to bring down the price of kerosene by Ksh 2 which had gone up by Ksh 9 were not enough to convince Kenyan’s as echoed by Gichugu MP Martha Karua. Other recommendations that had been made to regulate the oil sector are the establishment of a Price Stabilization Fund while regulating Petroleum Refineries Limited and Kenya Pipeline Corporation. In his defense, energy Minister Kiraitu Murungi spoke of their move to waiving excise duty which they have done. He admitted that there is massive inefficiency in the bodies involved in managing oil in the country but added that his ministry is working to address these issues. A recent audit report by the National Cohesion and Integration Commission (NCIC) has unearthed great injustices in the public service jobs sector. The culprit in question is the government which according to the audit has offered jobs selectively to certain tribes breeding inequality. In this report, more than a third of employees hail from one tribe. It further reveals that 8 departments of the government are breaking the law in this regard. The fact is that 5 communities or tribes occupy more than 70% of positions in the civil service. The dominant community has 22.3% of the jobs and this is the Kikuyu community. They are followed closely by their Kalenjin counterparts who have roughly 16% of all jobs in the civil service. Luhyas, Kambas and Luos follow closely with about 10% of jobs each give or take. These revelations come against the backdrop of a new dispensation as provided by the promulgated constitution. It is certainly a huge injustice on the smaller tribes that are also part and parcel of Kenya. The new constitution champions for equality and more so inclusive opportunity for wholesome development in the country. All other smaller tribes make up about 2% of the Kenyan civil service. 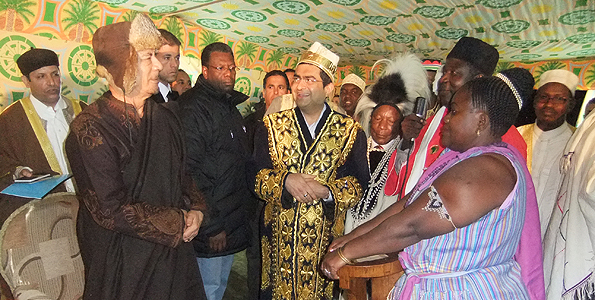 These communities include Taita, Maasai, Borana, Turkana and Teso. There are other factors that arise that are deep sited. Poverty and marginalization by previous regimes has contributed to the regress of these smaller communities. It is interesting to learn that among the major departments breaching the law is State House where almost half of all workers hail from a single community. ‘The NCIC Act requires that no community should exceed one third of civil service posts and more than 10 government departments have broken this law’ said Mzalendo Kibunjia; the NCIC chairman. In the police department, it was noted that almost 21% of the staffers are Kalenjins and other tribes scattered with lower percentages. According to the chairman, there is nothing wrong in discussing these issues openly “We must not shy away from candid debate of the issues because in it shall be found the solutions to our problems and we have faith in the ability of Kenyans and love for their country,” Kibunjia said. Now that the state of affairs in this regard is known, the next step will be to find a solution that brings on board equality to create a Kenya that all tribes and communities can be proud of. Nearly 50 MPs have accompanied The Hague 6 to the Netherlands as the suspects prepare top face pre-trial judges. The list of six suspects includes deputy Prime minister Uhuru Kenyatta, Eldoret North Mp William Ruto, Tinderet legislature Henry kosgey, radio presenter Joshua Arap Sang, former police boss Hussein Ali and immediate former head of civil service Francis Muthaura. A mixture of emotions has been elicited as many Kenyans express their disappointment. With numerous pressing issues for MPs among them implementation of the new constitution, their move to halt house business is somewhat questionable. According to a recently released poll by Synovate research group, 61% of Kenyans want post-election violence suspects tried at The Hague. On the ground, Internally Displaced Persons are still living in deplorable conditions. The nearly 50 Mps accompanying the Hague-bound 6 in total have spent a large sum of money which could have gone to better use. Are they encouraging impunity? What about those whose lives were ruined after the post-poll chaos? Many Kenyans especially those that were affected directly cannot help but read moral corruption and indifference with current leaders. According to George Wainaina; chairman of the Kenyan ICT Development & Energy Committee ‘we are offering moral support and they need it, because we cannot do anything else’. 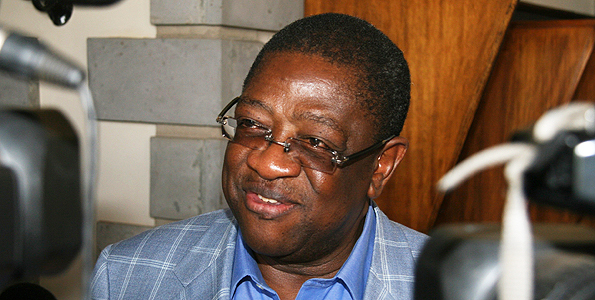 He is accompanying the Mps to The Hague to support his friend deputy prime minister Uhuru Kenyatta. Is the overwhelming support for the Ocampo 6 by their colleagues an indication that justice is elusive? Are they condoning corruption and eventual impunity? These and other questions cannot help but come up. What do you read from the faithful accompaniments to the Netherlands? Dishonesty and lack of integrity perhaps define corruption best. Moral decay and degeneration are other referrals that point towards the meaning of it. There are two main forms of corruption that the bible records which gave birth to all major troubles of the world. Satan became immoral (selfish/jealous) and demonstrated decayed principles by attempting a coup in heaven. This ultimate corruption led to suffering as is evident today in the world. The other example of corruption in the bible is when Eve and Adam practiced dishonesty and tried to do things their way and ate the forbidden fruit. In both examples above, the real reason behind the corrupt acts of Satan and man are the hopes to gain an edge, more intelligence (or and) ‘power’. Satan knew too well about the glory of God and eyed the top position to his detriment. The devil wanted it all; dominion just like his creator. Eve gave in with the hope of gaining knowledge and becoming more like God. The need for power has since then been ingrained in the hearts of many and how far people will go to get power is anyone’s guess. In the modern day, money is the basis of power and influence. In Kenya, the rich minority has the power to twist/shape agendas to their liking. Power or money is a ticket for respect in many circles. Many are blind to the means in which power and money are acquired. 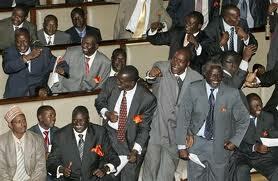 Parliament reps in Kenya and a myriad of leaders are linked to the drug trade and endless chains of corrupt cases. This goes to show that money can buy power and even ‘respect’. Consequently, the core or root of corruption lies in the need to be respected. In Kenya a little ever 60% of youth do not have jobs or a stable income. This is directly linked to crime level which is ever so high. But this is not all; the cream of society keeps getting richer while the poor keep declining. In the words of Robert Heinlein (most influential author) ‘poverty has always been there and the poor are despised and condemned. Whenever they have an opportunity to create, they are shot down and they end up in abject poverty than before’. In Kenya, the plight of the poor has been that of suffering with landless people being evicted from time to time unable to progress due to the instability. The core of corruption has been evident over the years and learning to read the patterns can help steer clear of corruption and effects thereof. We began by learning the first cases of corruption with the devil and man. If at a personal level you can be honest in everything you do; you have nothing much to worry about. If indeed you can establish integrity without wavering, the heartbeat of corruption can certainly be crushed. Corruption must be eliminated or avoided by an individual if there is going to be any institutional difference. Of course it cannot be eliminated totally but you can play your part; that is all you need to do to eliminate core corruption in Kenya. Death town- The Wagala Massacre! 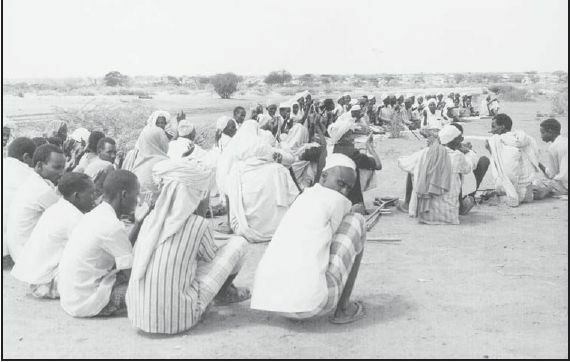 10th February 1984 is a date that the members of the Digodia clan in Wajir town would love to delete from their memories but they don’t have the luxury to do so. The day will forever be embedded in their brain for on this day and the two days that followed the reign of terror that befell them shook their existence. It was a day that the streets were slippery with blood, bodies were scattered and the silence was enough to make the dead turn in their graves. On this day the devil walked in their village taking lives of innocent men and molesting the women while robbing the children of their innocence. The infamous Wagala Massacre! It has been over two decades since the massacre happened and little has been done to see to it that justice prevails. The stories told by the victims of the massacre are not only dead right heart breaking but also appalling. Thousands of people died at the hands of Kenyan security enforcement, women were rapped, and children’s hope killed and maimed. Many people look forward to the month of February but the people of Wajir this is the month that they have to re-live the ordeal and to know that no one has been held responsible for what happened kills them with every passing year. On the 14th February 2000, the Somali community living in Canada held a demonstration protesting against the lack of justice for the felons who were responsible for the massacre. ‘The worst episode of human rights violations in Kenyan history’ is what the United Nations called it, but eerie silence from the government begs many questions. In July 2010 some of the women who survived the massacre went back to where it all happened, the Wagala air strip that hasn’t seen a single plane in 27 years. The pain in their eyes is a clear indication that time hasn’t done them justice and the hearts have grown numb with death. Two régimes down and they all walk around like nothing ever happened. Three days of innocent Kenyans being terrorized by them that they pay to keep them safe and the master minds behind the heinous acts have been left to roam freely for 27 years! Less than 48hours to the massacre, some of government officials met in wajir’s district officer’s. some of the names and the post they held then; Benson Kaaria (P.C North Eastern Province), Bethuel Kiplagat (P.S Ministry Of Foreign affair), David Mwiraria (P.S Ministry of foreign affairs) John Gituma (P.S Ministry of Information and Broadcasting), Brigadier J.R Kibwana (Department of defence), John Kagathi (Senior Administrative Secretary-Office of the president) James Mathenge (P.S office of the president). Some of the prominent people named above deny the meeting ever took place, some refuse to comment on the proceedings of the meeting, others say that they are not at liberty to discuss government’s business whilst others cannot be reached. Why all these mixed reactions? Both the former and present president remains mum on the issue it is evident that the then government had everything to do with the massacre. The common factor between the two regimes is Amos Wako. Why did the government carry out such atrocity? WHAT WOULD THE FREEDOM FIGHTERS THINK? Can you put a price in your freedom? A little absurd and far fetched it might seem, but the reality is that there is a price to everything (at least in Kenya there is). 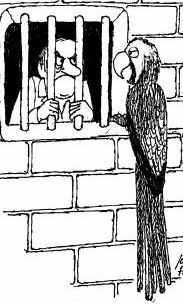 There have been endless stories of people put behind bars for over eight years for allegedly stealing chicken while we have many other people walking ‘scot free’ after embezzling millions of shillings. When the coalition government took over, Kenyans were hopeful that this would see the brick of a new dawn that their forefathers had laid down their lives to get, two years down the lane and what we can show is more despaired faces and few bellied members of parliament. Walking among us are those who were and still are internally displaced, as if that is not bad enough the there are now talks of the Attorney-General writing to the Treasury seeking for legal financial assistance for the suspects of the ones under investigation by the Hague. This comes at a time when the country is staring at drought right in its cruel blood thirsty eyes. Thousands of people have lost their crops and livestock. As each day passes, the drought keeps taking toll of the people’s health and the numbers of malnourished and starving are on the rise. The food reserves are quickly dwindling and there are no signs of rain in the next three months. Kenyan’s are best known for their generosity and it in this spirit of giving that one Mr Kamlesh Pattni (the architect of the Goldenberg scandal) was out giving Santa Claus a hand in delivering gifts to boys and girls who had have been good through out the year. This time he was in Libya giving leopard skin to President Muammar Gaddafi. 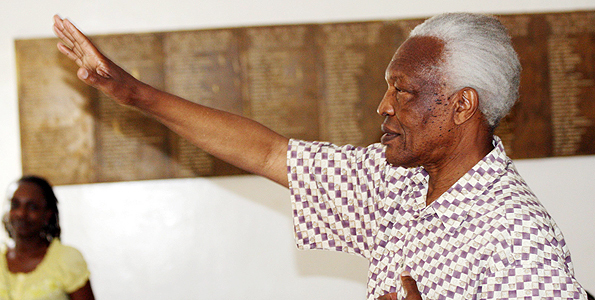 The skin was a gift presented to the president when more than 50 kenyan elders visited his country. No one seems to know where Mr.Pattni got the skin and how it was exported out of the country. The Kenya wildlife Service has to sign off on any trophy outside Kenya. Our fore fathers must be turning in their graves as they look at what is going on in the country today. Corruption, impunity, dispensation, these names are often used to describe the guys in power or some leaders. Few people step back to review their lives in relation to these names. What does it mean to be corrupt? Or is this a prestigious vice set aside for the ‘who is who’ in the society? Do you think you have engaged in any corrupt, impeditive acts today? In order to answer these questions objectively, we need to decipher these terms. Corruption (misuse of public office for private gain) varies form patronage to kleptocracy. Let us stop at this point and press the rewind button! Patronage which is believed to be ‘baby corruption’ means giving favors to some person, group, or institution. Kleptocracy then becomes the ‘corruption father’ in the literal means being governed by thieves (corruption at its very best). Now that we have that settled, let us talk about our involvement in corruption. At this point you might want to move from this blog, but you have come this far, so what is there to loose? Let’s indulge! Edmund Burke said “all that is necessary for the triumph of evil is for good men to do nothing.” Sitting in the living room hurling insults or having a conversation with the presenter on the other side of your television set does not count as part of doing something. Now you see why being audio visual Christian is imperative? The need to walk the talk cannot be emphasized enough. It is known that the wages of sin is death (Romans 6:23) but what about them that stand on the side of the road and watch the thief still the side mirrors of the car across the road? Is it enough that he (by-stander) malevolently talks about the rampant rise of crime in the safety of his house? What the ‘by-stander’ does not take into consideration is that the car being vandalized could have been his and there could be witness who cursed under his breath and walked on. Being morally upright, steering clear of the trouble and living right is proper but not enough. More ’round the clock’ Christians and less ‘Sunday Christians is what is needed. This weekend challenge is to go the extra mile of being a Christian. Them that are deemed to be corrupt did not wake up one morning and to find themselves corrupt; it’s a vice that had been fed over years. It might have started with jaywalking, moved up to littering, before long they were paying for good grades, and now holding the country for ransom. Just like the mustard seed, corruption grows but so does the audio visual Christian. chacha noel on Death town- The Wagala Massacre!